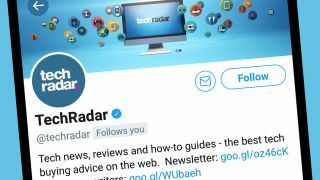 At CES 2019, Twitter announced plans for an open beta program to let users test new interface features, plus a raft of features that are intended to make conversations 'healthier' and less vitriolic. As reported by Engadget, the program will begin with simple visual changes, including different types of indents, different colors to indicate whether you're following a person or replying to a tweet, and the ability to collapse replies to focus on a particular one (like in an email chain). These are all just visual updates for now, but the site has also been experimenting with more significant new features that it hopes will assist in CEO Jack Dorsey's goal of improving the quality of discussions. These include status availability indicators (much like those on Facebook Messenger), which place a green bubble beside a user's name to show that they're online, and may therefore be free to chat. The site is also exploring the potential of 'ice breaker' tweets, which are intended to start conversations about a particular topic, inviting other users to reply with their own thoughts. In March 2018, Dorsey admitted that Twitter had "witnessed abuse, harassment, troll armies, manipulation through bots and human coordination, misinformation campaigns, and increasingly divisive echo chambers," and called on users to submit ideas to turn things around. It's not clear whether the options it's experimenting with now originated this way, but it's good to see Twitter continuing to work with its users to improve its service. If you're interested in taking part, the beta program will be accepting applications soon.